NASA Earth Observatory map by Lauren Dauphin, using MODIS data from LANCE/EOSDIS Rapid Response. Story by Kasha Patel. Agricultural Market Information System. Accessed September 19, 2018. Crop Monitor: A GEOGLAM initiative. Accessed September 19, 2018. Crop Monitor (2018, September) Crop Monitor for AMIS | September 2018. Accessed September 19, 2018. Deutscher Wetterdienst (2018, September 12) Hitzewarnsystem des DWD seit 2005 erfolgreich im Einsatz. Accessed September 19, 2018. 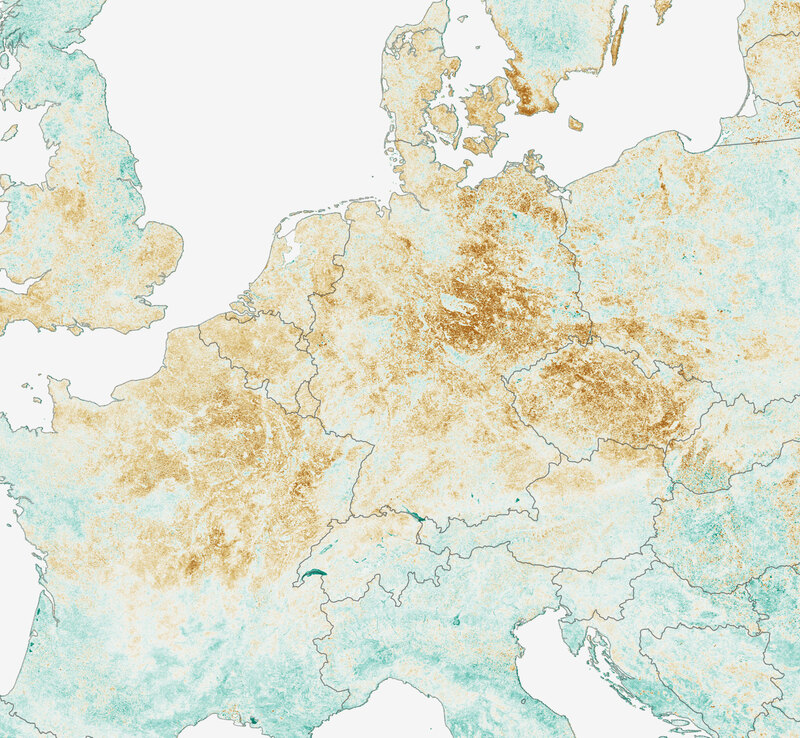 NASA Earth Observatory (2018, July 30) Heatwave Turns Europe Brown. NASA Earth Observatory (2018, July 21) Scarcely Seen Scandinavian Fires.